KAMPALA – An aggrieved couple that sued Mengo Hospital over the death of their newborn baby whom they claim was wrongly injected by a student nurse has secured justice after three years. 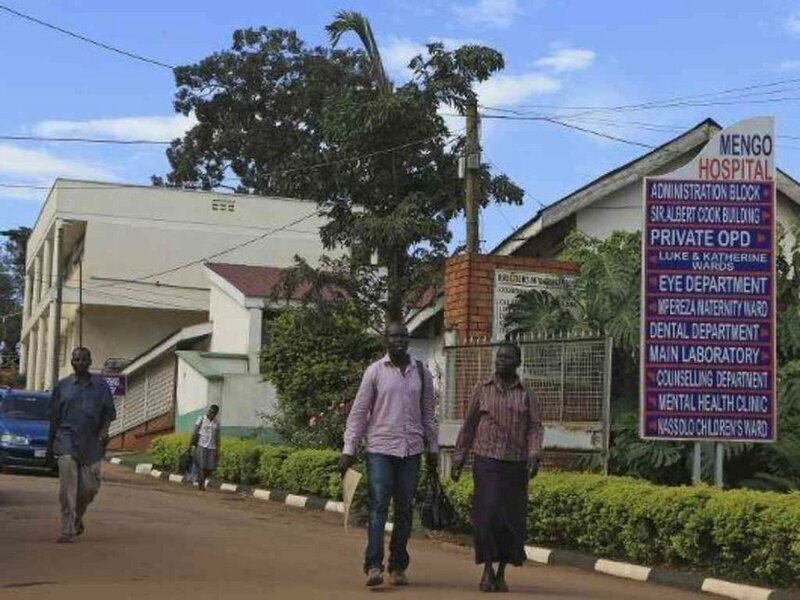 According to consent agreement seen by PML Daily, Mengo Hospital has agreed to take responsibility and agreed to (1) pay Shs 35m to the bereaved couple and to implement Uganda Medical and Dental Practitioners Guidelines to supervise medical interns in their Hospital. “A consent judgment of civil suit no 176 of 2015 dated November 23 the 1st defendant in the interest of amicably resolving the matter agreed to pay the 2nd plaintiffs [the aggrieved couple] Shs 35m,” reads the consent judgment in part. Mr Ronald Kitaka and his wife Ritah Nantumbwe, in a suit filed before the High Court on June 25, 2015, said they were delivered of a 3.4kg baby boy by caesarian section on January 2, at the hospital. The court documents accessed by PML Daily indicate that after the successful caesarian section, Ms Sophie Namuli, a student nurse, came into her room holding a tray with two syringes; one big and another small. The student nurse then allegedly injected the baby with a big syringe before injecting its mother with a smaller syringe. “Suddenly after administering the injection, the baby turned dark and started crying and gasping. The fifth defendant (student nurse) did not leave the admission room but instead stood there terrified and confused,” read in part the couple’s complaint. The complaint says that after the injection, the baby was taken to an emergency room and put on oxygen and that the doctor reportedly examined the baby and informed its mother that her baby was in critical condition and that there was not much hope for its survival. The baby, who had been named Emmanuel Kitaka Heavens, is said to have died at around 3 pm and a postmortem showed that the cause of death was hypoxia. The couple, through its lawyers of Kabanda and Co Advocates, sued Mengo hospital liable for the death of their child on grounds that they failed to supervise the student nurse while she administered treatment on their child that later became tragic. They also wanted the health facility to pay them damages for violating their right to health, right to life and right to access health information. The couple also wants court’s declaration that the failure of Sylvia Nassazi, an enrolled midwife and a skilled nurse of Mengo Hospital to supervise the student nurse while administering medication to the baby and its mother, violated their right to receive quality healthcare. Also sued in their individual capacity was Dr Rose Mutumba, the hospital’s director, her deputy, Dr William Bukenya, and Dr Martha Namusobya, also an employee of the hospital. However, on November 23, Mengo Hospital agreed to take Responsibility and agreed to (1) pay 35million UGX to the bereaved couple (2) Implement Uganda Medical and Dental Practitioners Guidelines to supervise medical interns in their Hospital. Judgement also says that the amount shall be paid in full and final settlement to the plaintiff’s claims against all the defendants in respect of the matters pertaining to the suit.